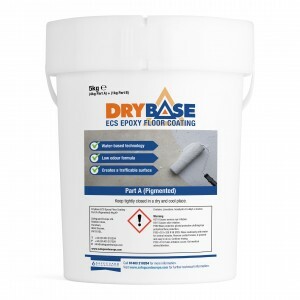 Drybase ECS Epoxy Floor Coatings for damp proofing floors and walls. Applied by brush or roller to provide protective coating that can easily be cleaned. 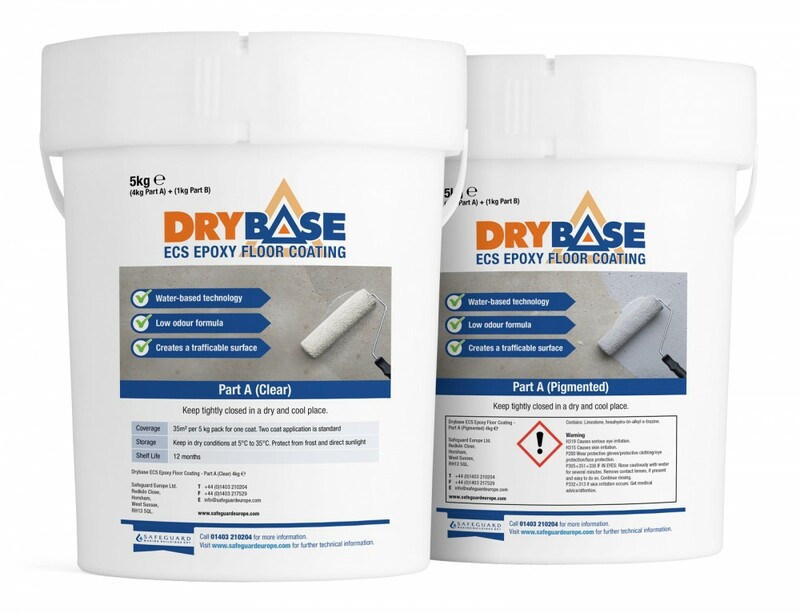 Once painted on, Drybase ECS Epoxy Floor Coating provides resistance to oils and greases. Drybase ECS Epoxy Floor Coating can be used as a liquid damp-proof membrane (DPM) for floors and walls and to provide a durable, decorative finish. ECS Epoxy Floor Coating is applied in two coats. The second coat should be applied as soon as the first coat has completely dried (typically 18 to 24 hours). 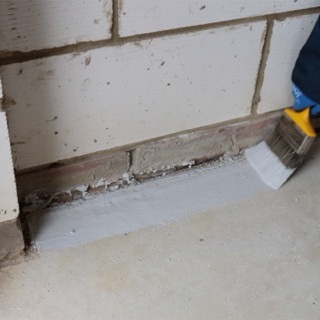 Coverage - Typically 10 - 20 m2 per 5 kg pack (based on two coats). Chemical Resistance – See datasheet. All contact surfaces must be sound, clean, dry and provide a "light" mechanical key. 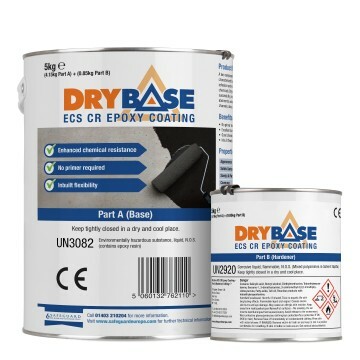 Drybase ECS Epoxy Floor Coating can be applied as a damp-proof coating to damp substrates as long as they are free from surface water. 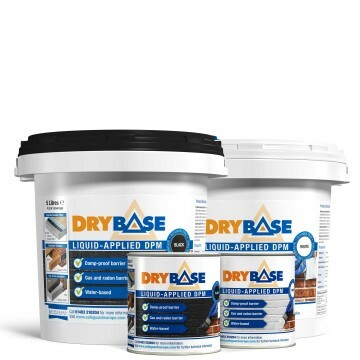 However, where Drybase ECS Epoxy Floor Coating is being used to provide a decorative finish, it is important that it is applied to a dry substrate. Remove all loose material, paint, plaster and oily deposits. For best results, light grit blasting is recommended. 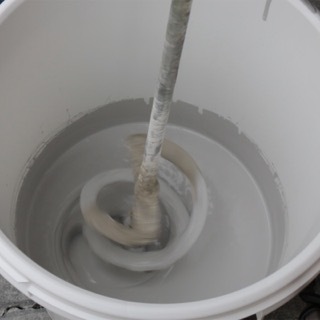 Pour all of the "Part B" component into the "Part A" container and mix using a slow-speed, high-torque drill with a Grout Stirrer for at least 4 minutes. Note that all mixed material cannot be stored, as it will cure into a resin within 18 to 24 hours. The use of a brush for the first coat is recommended. The second coat should be applied as soon as the first coat has completely dried. Each coat should be applied as a thin continuous film. Ponding must be avoided as the thickness will entrap water and prevent proper curing. For the second coat, the use of a brush or a short pile simulated lambs wool roller is satisfactory. 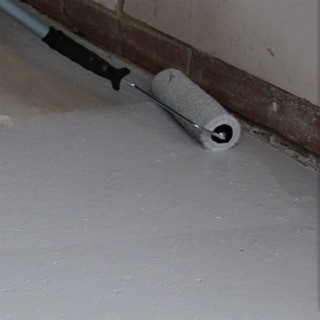 Drybase ECS Epoxy Floor Coating can also be applied by roller for faster application to larger areas. Drybase ECS Epoxy Floor Coating should be applied at ambient and surface temperatures between 10°C and 35°C. For applications outside of this temperature range, contact our technical department. The ambient relative humidity must be below 85% at all times during the curing period. When working in enclosed areas, it is important to create sufficient air flow to maintain the humidity below this value. It is recommended that substrates should not have a moisture content of more than 75% RH. This can be assessed using a hair hygrometer covered with polythene for 24 hours as recommended by BS 8203. So easy to mix & use, covers really well, only time will tell if it cures the damp but I'm optimistic. Applies well but takes a couple of days to become non tacky in low temps ( 5 -10 C). Would be useful to know the ratios by mass such that you could mix a part quantity. Seems to hold up well to an engine hoist with cast iron wheels rolling over it. This is a really good product. 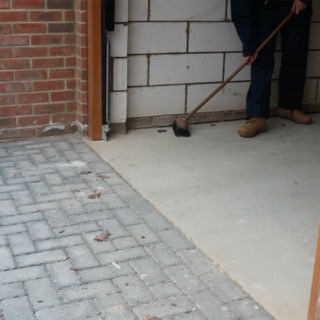 We have a concrete floor with no damp membrane.We didn't want to take it up because of the expense and mess. The epoxy resin sealed the floor and we have not had a problem since. It was easy to mix and paint onto the floor. It is important to clean any brushes, mixing tools and buckets after first application as you can't use again for second layer. I had trouble opening the the plastic container each time which was frustrating, but necessary. Next time I would consider leaving the finished product and not cover it.